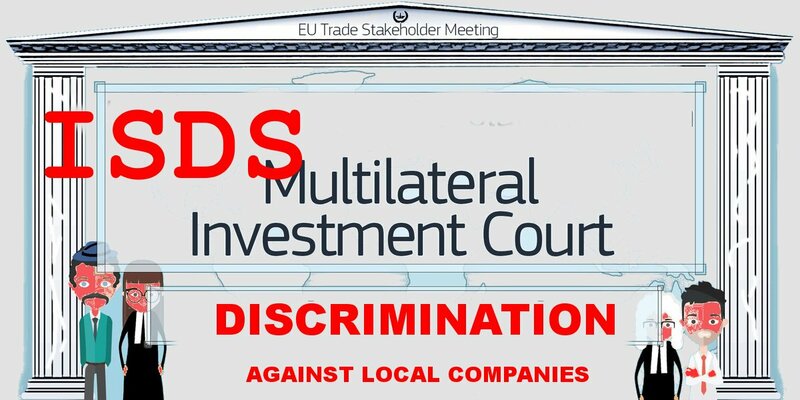 Today, TACD has published a resolution on the EU’s Multilateral Investment Court (MIC). The resolution comes after the European Commission’s mandate from EU Member States in March 2018 to negotiate a Multilateral Investment Court. The EU’s aim is to convince other countries to create a global court that would replace private arbitration tribunals in ruling on investor-state dispute settlement claims by foreign investors against governments. TACD’s resolution recommends that rather than pursuing procedural changes through a MIC at the global level, the EU and U.S. should refrain from including investor-state dispute settlement in any form from any agreement and should seek to terminate existing treaties that include the mechanism.